My buddy, David Shumate, called me up earlier this summer and asked if I would want to join him in Ouray, CO for the 2015 Toyota FJ Summit. Before really knowing what it was I said yes. Why not? Turned out to be a blast. We met up with a group of FJ’s driving out of Denver and went as a convoy on US285. 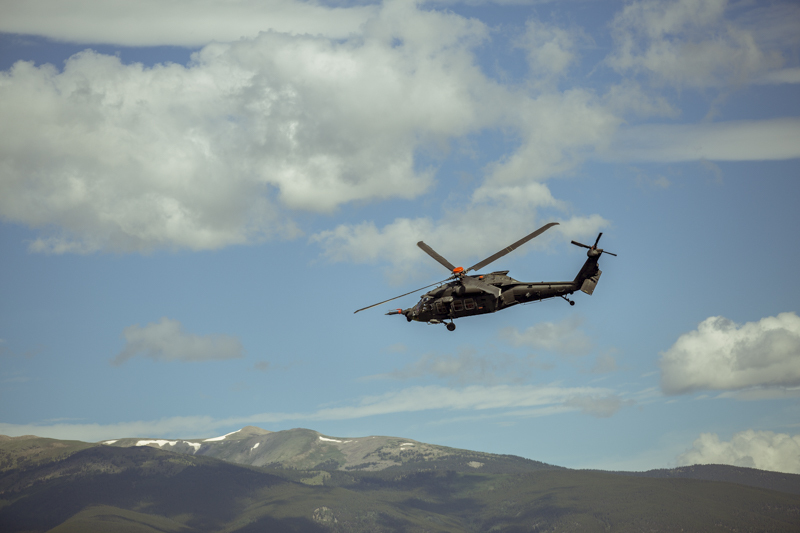 There was a blackhawk doing exercises at the Buena Vista Airport, and a massive YoungLife group was hiking at Cottonwood Pass. They had a mascot. Dave and I decided to take a detour and look down into Black Canyon of Gunnison. Worthwhile detour. Dave airs down his tires for the trail. I was at this spot in January climbing Gravity’s Rainbow with Vincent Keller. Awesome to see this area in the summer time. 4Runner group shot at an old mine. I stood on this Land Cruiser to get the previous shot. We went into a small abandoned mining town that has several of the building still standing. We drove out through Silverton, got lunch and prepared to go through Ophir Pass to get to Telluride. Nathan decided to drive through the creek “just for shits” and Dave followed. A crossing and climb that normally would have not been an issue, something went wrong on Dave’s 4Runner. As soon as he started the climb, “clank clank clank”. He could not get the rear wheels to engage. He tried to back it up, but the wheels locked. We were stuck in the water. Nathan winched Dave’s 4Runner back on the shore, but obviously the truck was not going to go anywhere. He had sheered off the gears in his 3rd member on the rear axle. It took a while to come up with a plan. Only one of us had cell phone service, spotty at best. There was not much I could do to help, so I got in Gary and Joe’s 4Runner, and we went back to Ouray in search of a trailer. Nathan, family, and David went back to Silverton to wait for a tow truck. It only took 5 hours to come. Dave and I didn’t really get much off-roading in after this. His truck in the shop, we jumped in with Gary and Joe and drove to Telluride for the day. We took a beautiful road up through aspens and to this point above Telluride. We take Ophir Pass back to Ouray. Off-roading was a blast, and I had a ton of fun hanging out of David’s 4Runner to get the shots. Dave’s 4Runner is repaired and ready to make the trek back to Indiana.